If you do not like coffee then most probably you are a tea drinker. The better tea are not in tea bags but are those lose, dried tea leaves that need infusers (or you might drink gritty tea!) for consumption. 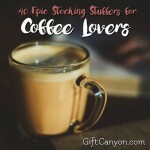 The problem with traditional infusers that they are boring! Well, not anymore. 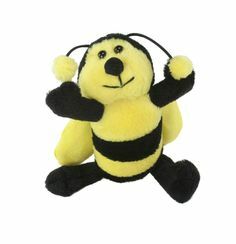 Here are some cool, funky, cute tea infusers that will make your tea time even more fun, as much as nourishing! 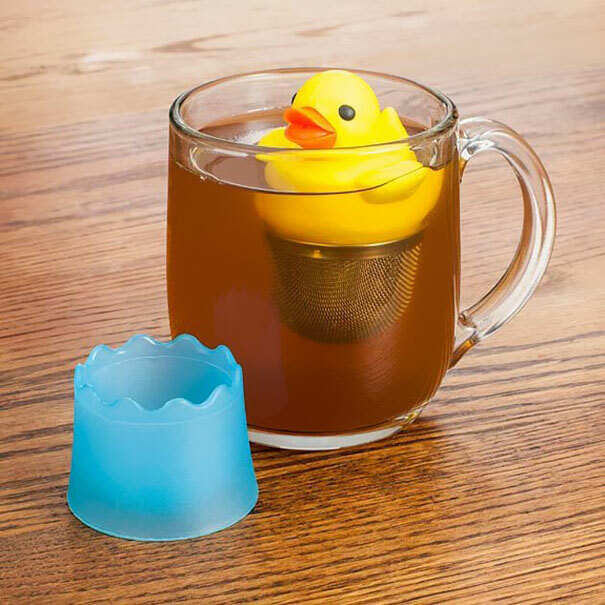 On the picture: Rubber Duckie Tea Infuser, #8 on the list. 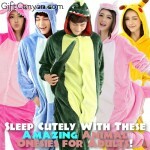 This must be the cutest manatee ever! 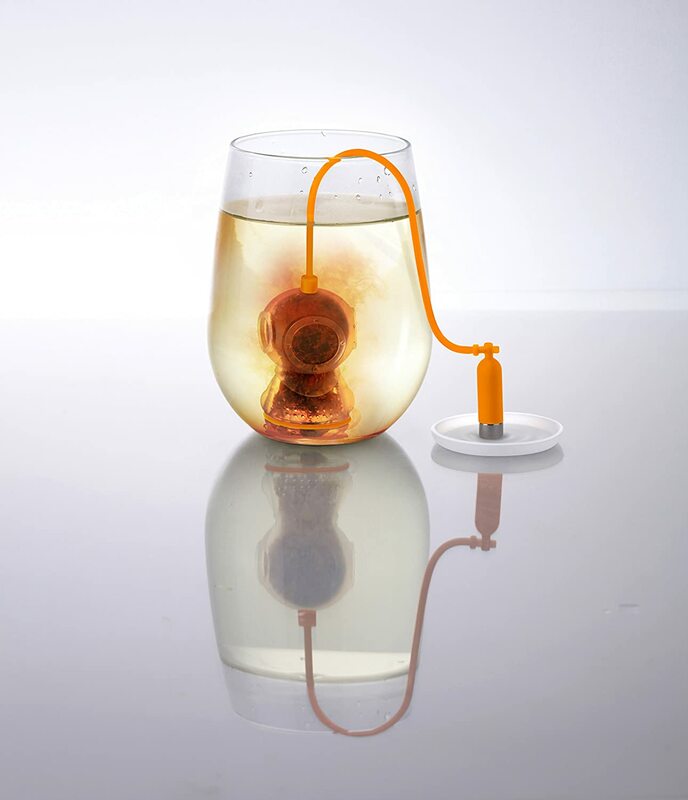 This tea infuser takes on teh shape of a manatee, a sea critter with the happiest face ever! 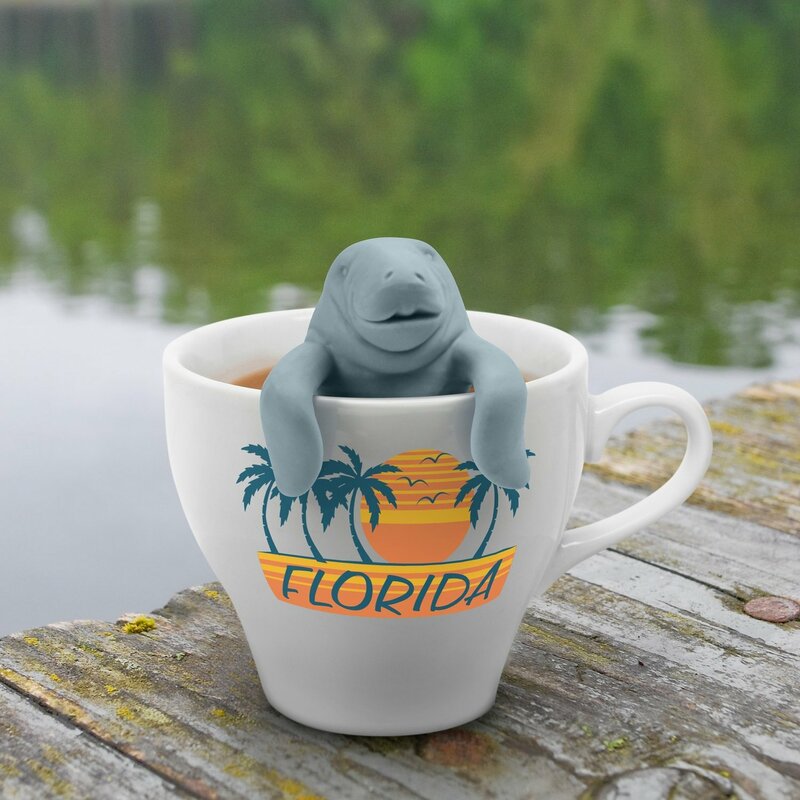 Just look at Manatea's face... he looks so relaxed and satisfies dipping in your warm tea. It is like a warm, relaxing bath for this happy little thing! 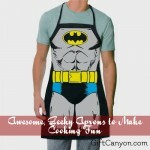 Awesome infuser from Fred and Friends. This cute little diver is wearing a complete scuba gear, ready to dive deep down your hot, boiling cup of water to release the goodness of your artisan tea leaves inside. 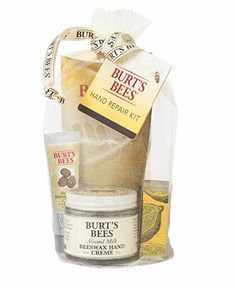 Super nice and super cute. We all live in a yellow submarine! Well, that's what your tea leaves will be saying when you use the Yellow Submarine Tea Infuser. 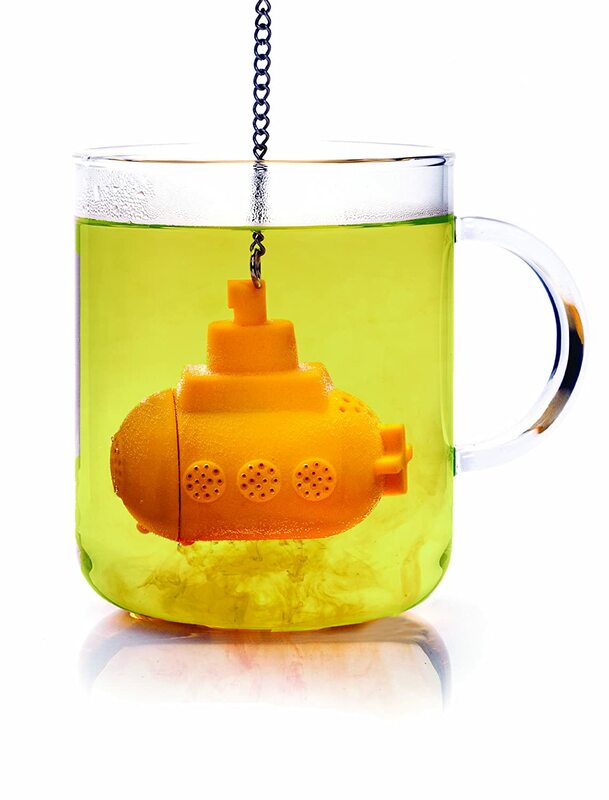 It looks like a toy submarine but it can make delicious hot beverages by just putting some lose dried tea leaves inside and dipping it in hot water. Who would have thought that you can use a military vehicle for your afternoon break? One of the few mammals who lay eggs, the duck-billed platypus is one of the most peculiar animals that ever existed. 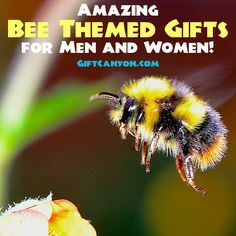 No wonder it captured the fancy of tea infuser makers! 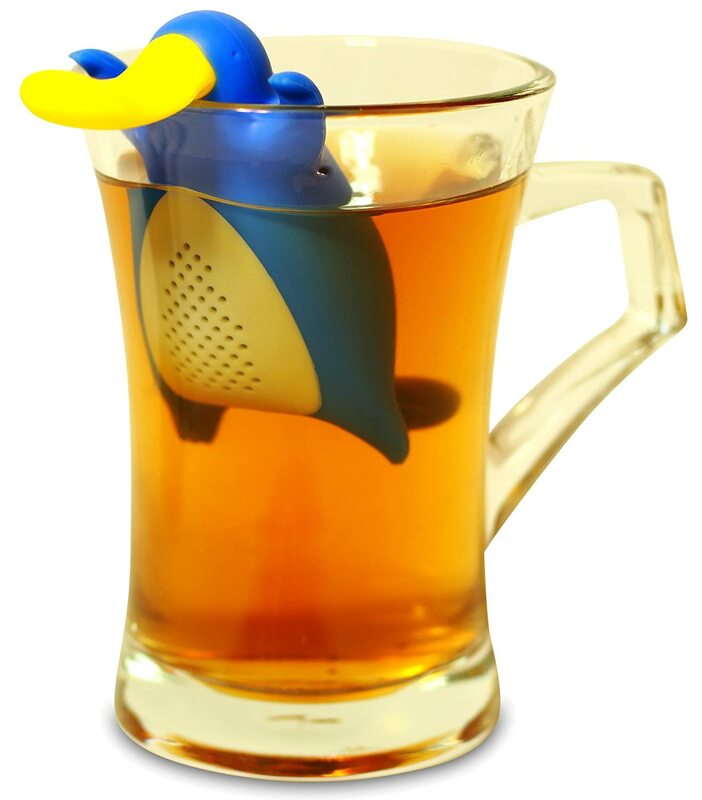 The Happy Platypus is a blue, platypus-shaped tea infuser that looks like it is hanging out on your tea cup. 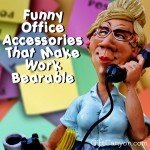 This interesting piece of accessory will make even coffee drinkers jealous! 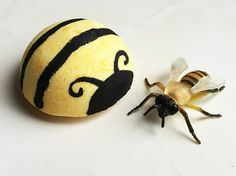 Anough with cute animals... how about fruits? 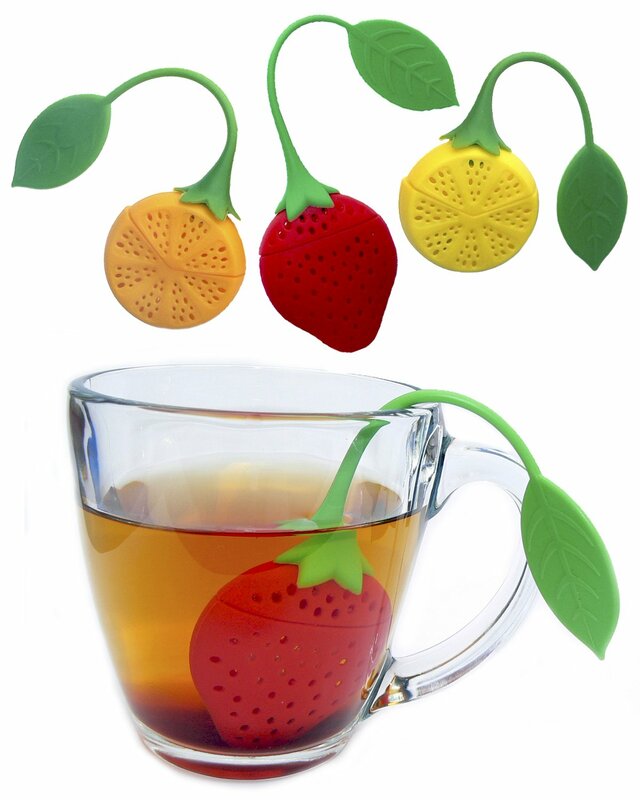 These fruit-shaped tea infusers look really nicce and comes in packs of threes, so you can have a small tea party with your friends. Rubber duckie, you're the one. 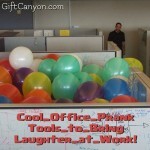 You make my tea time, lot's of fun! 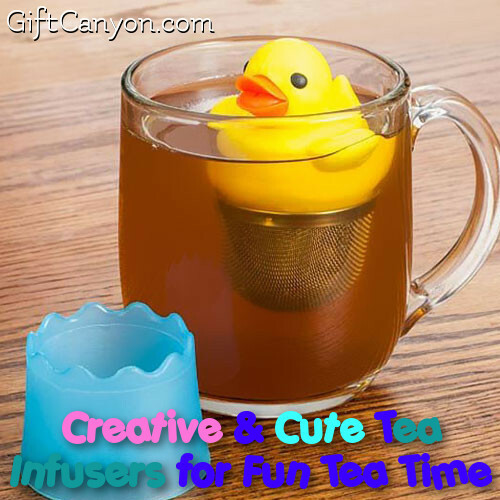 You will also sing like Ernie when you have this very creative tea infuser, the rubber duckie! 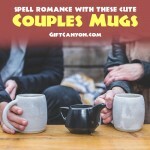 It resembles the classic rubber ruck, except that it floats on your cup of warm water, preparing your tea. It looks very cute that it can spark a convo. This awesome Robot Tea infuser from Kikkerland has adjustable arms to help it hold on to the edge of your tea cup! Very cute! It even comes with a tray so you do not have to worry with spills on your coffee table after the robot has finished doing its job. You know those dolls that contain smaller clones of the doll itself? 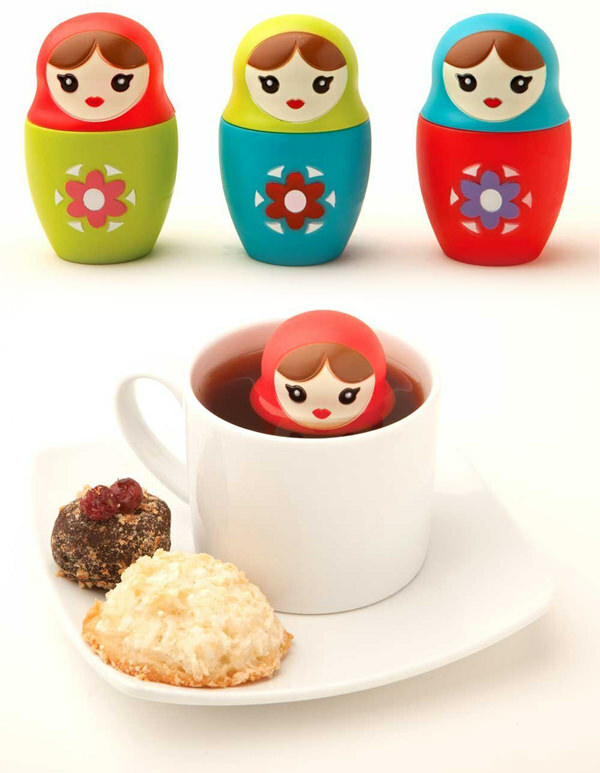 Well, here is a cute tea infuser version of the russian nesting doll. 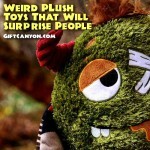 And no, it only contains tea leaves, not smaller dolls. Star Wars fans rejoice! 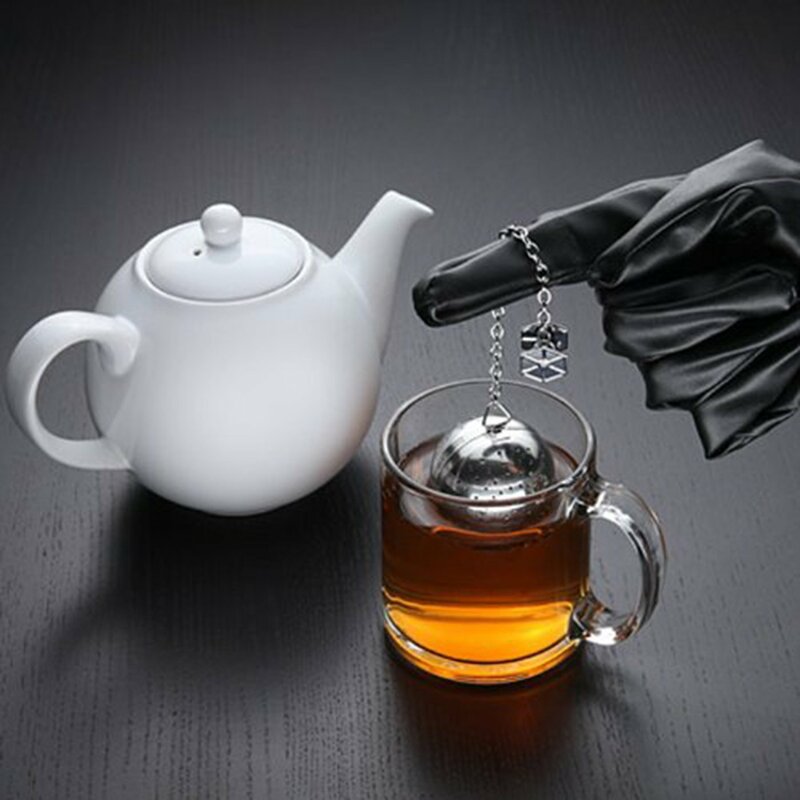 Here is the tea infuser for those who like to be in the dark side of making tea. The Death Star tea infuser is an officially licensed Star Wars merchandise and it makes a perfect gift idea for a Star Wars lover. 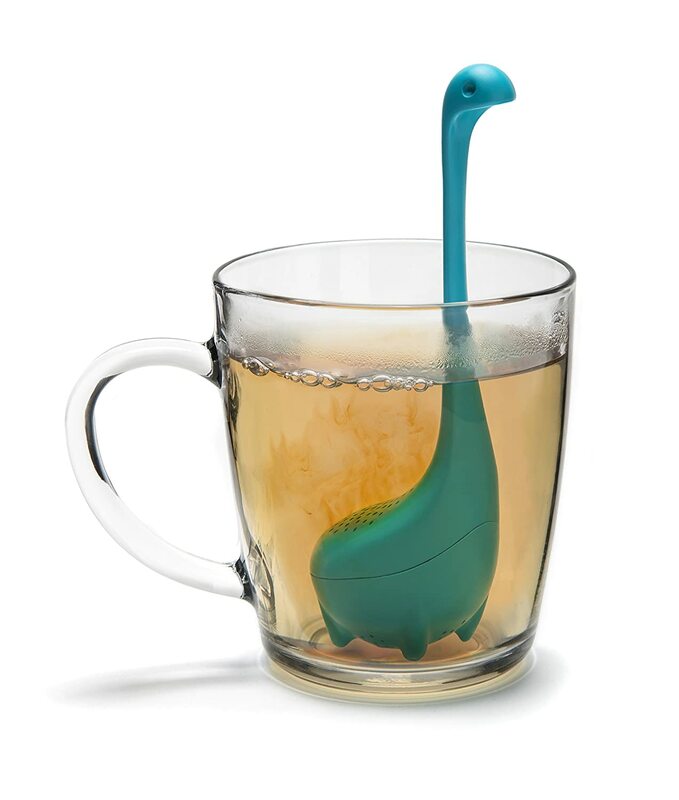 Lastly, the Lochness Monster has scared many people for years, only to show up as a ladle and now, as a tea infuser! And it is very cute to look at. 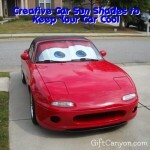 It even stand up on it's own!